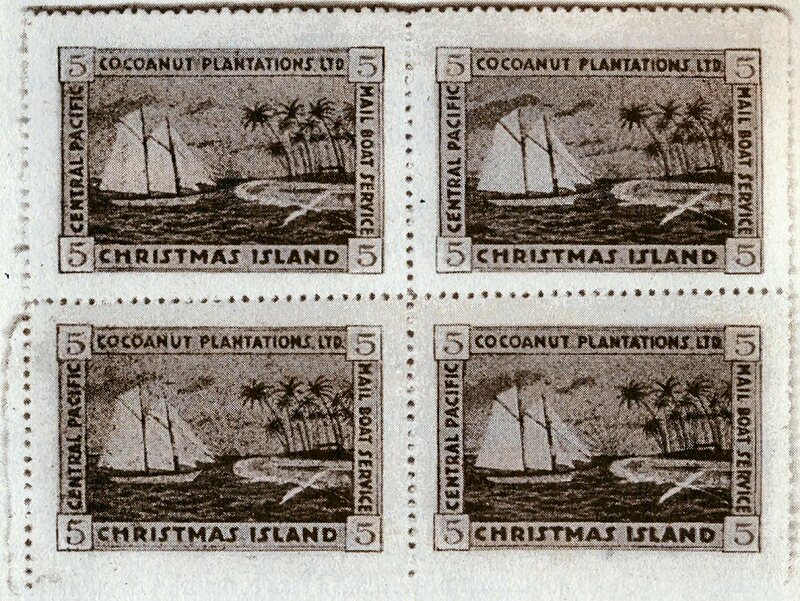 1916 until December 1923 -- 5c blue, orange, red, green and black, value carmine. 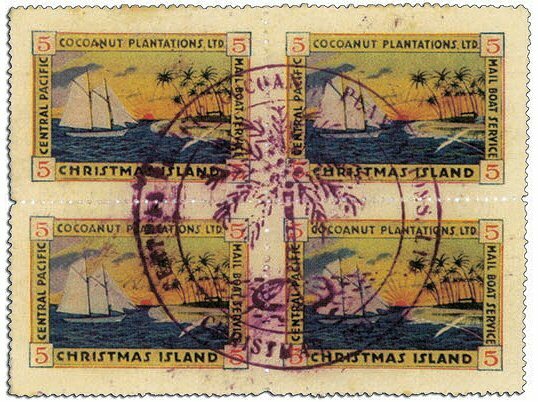 1st issue pos 2,2 misperf. 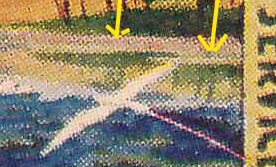 There may have been a second printing of the 1. issue - Details still have to be investigated! 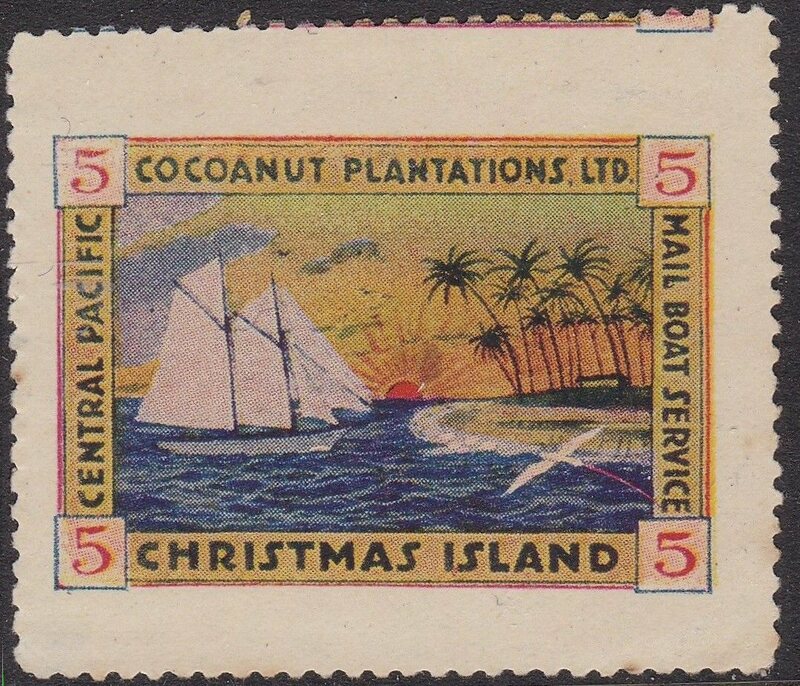 James Mulik found a nice variety recently: A stamp with heavily shifted blue color. 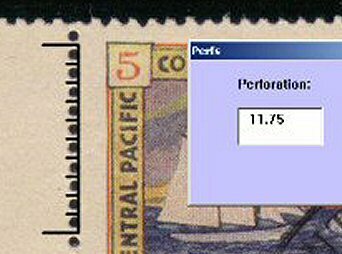 This error is quite scarce - it's the only one I have seen so far. 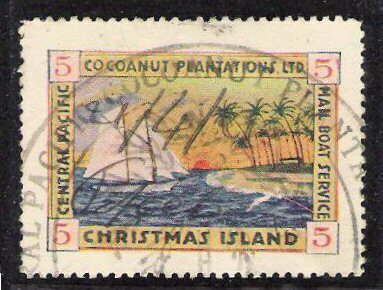 1. issue manuscript date 21/4/21 Papeete. 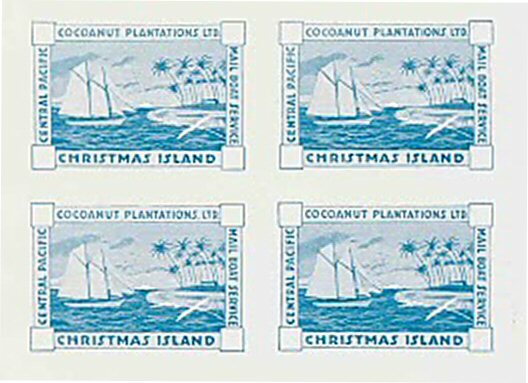 They help to identify the plate position of single stamps. 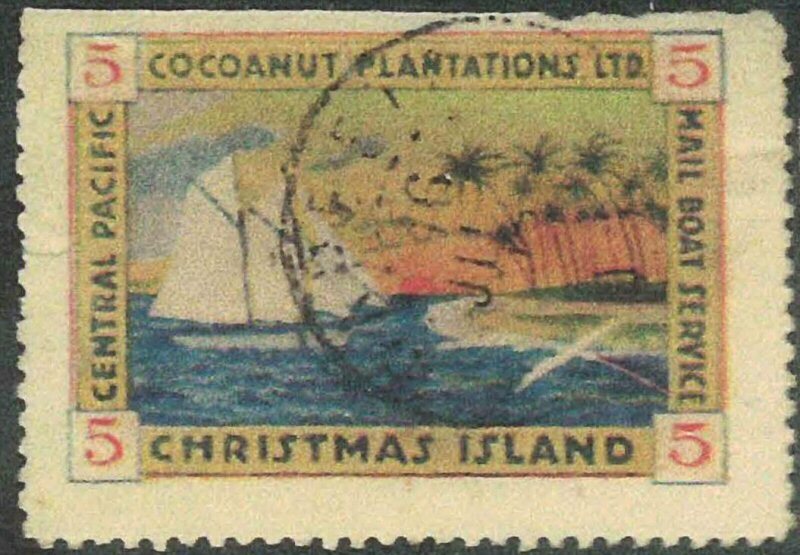 Please make sure that your stamp is a 1. issue one: has it a broad not printed area round the actual printed image? 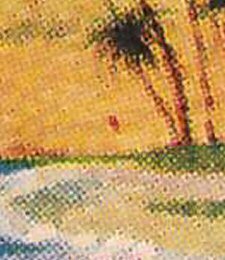 Is the colour orange and not yelloworange? 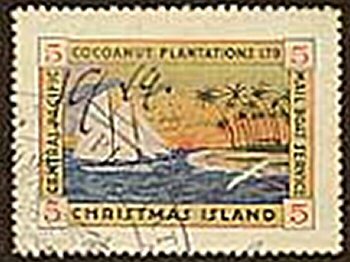 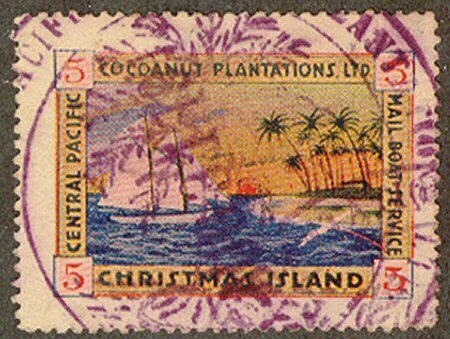 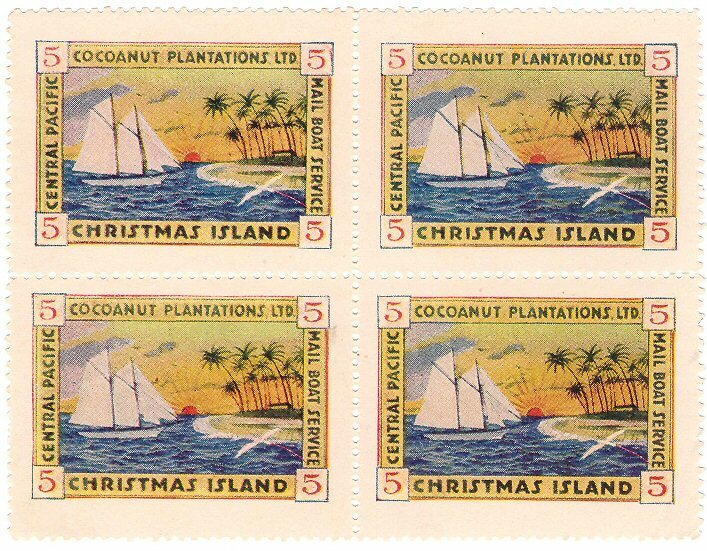 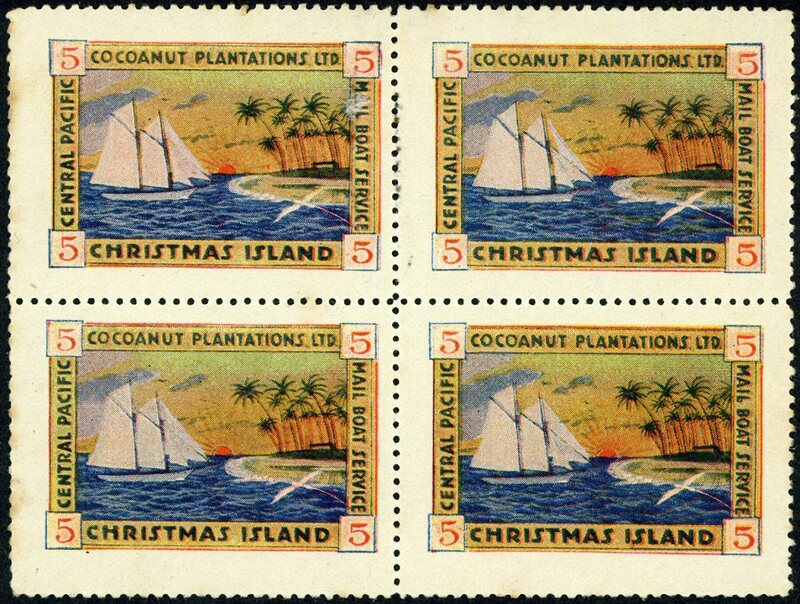 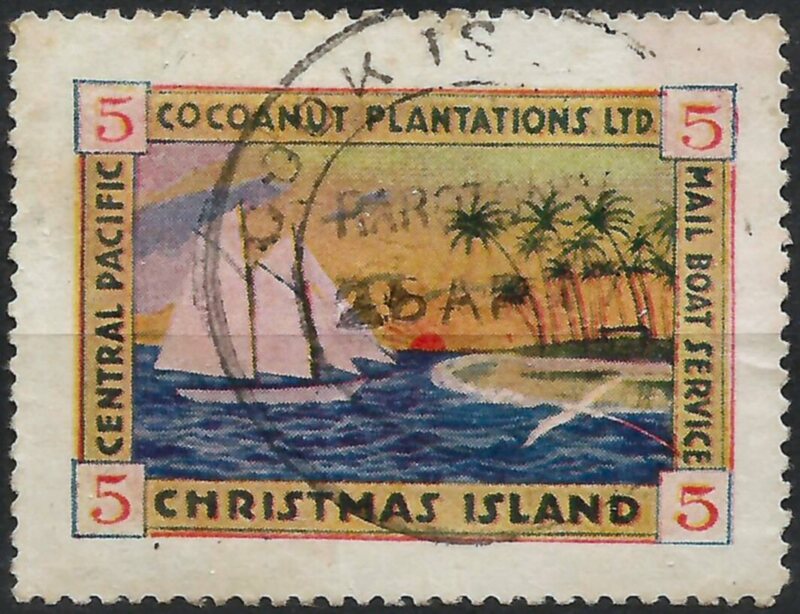 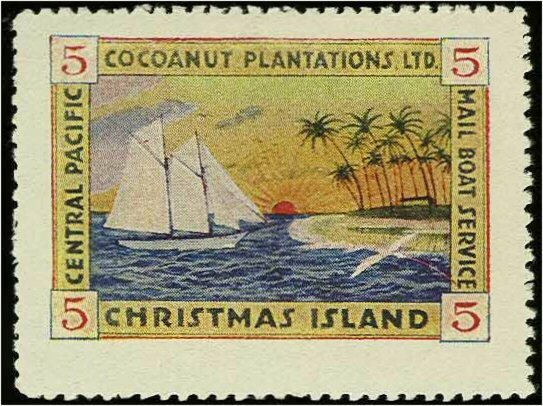 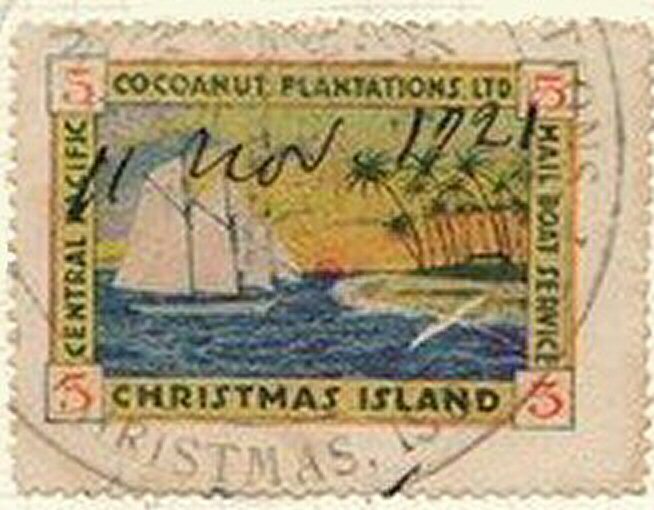 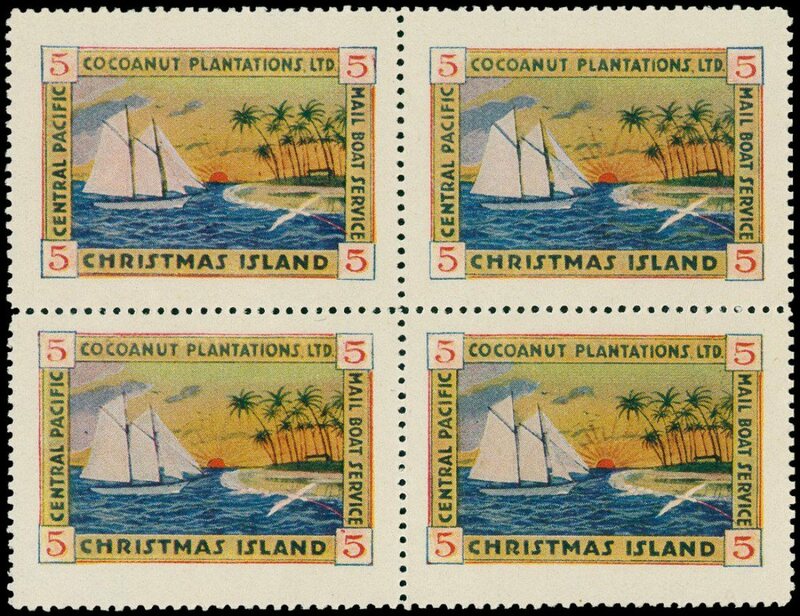 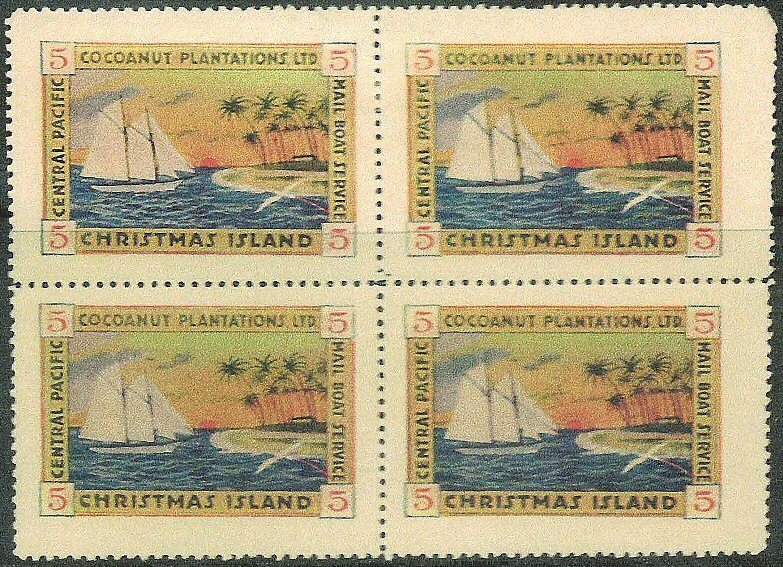 #1: Red dash below left small palm and horizon: the stamp is from left or right pos.  1,1. 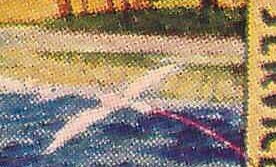 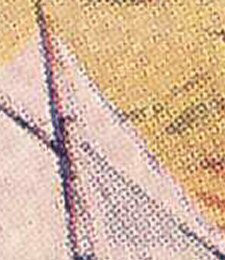 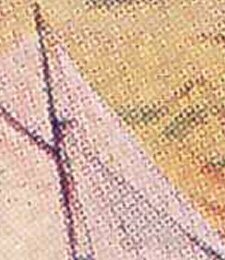 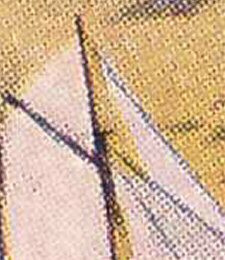 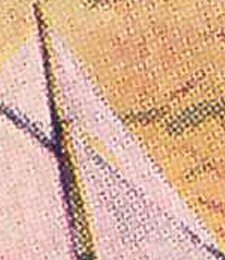 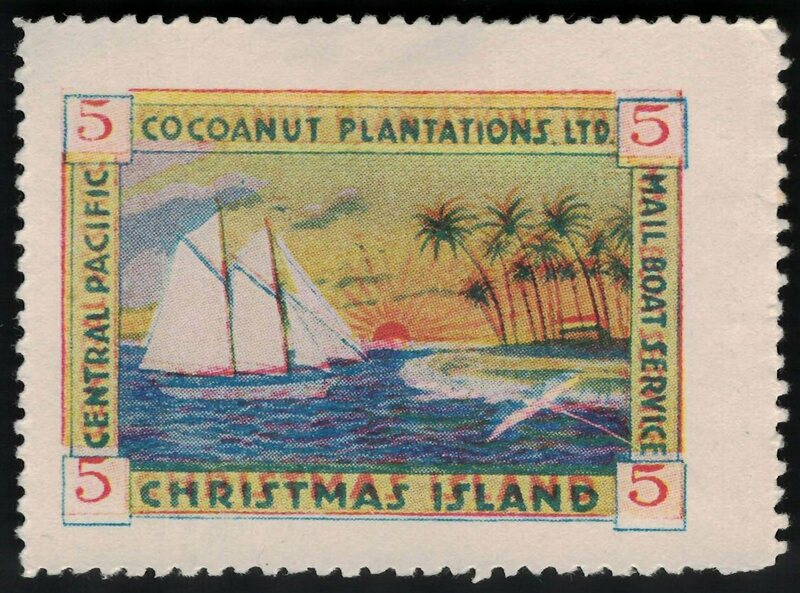 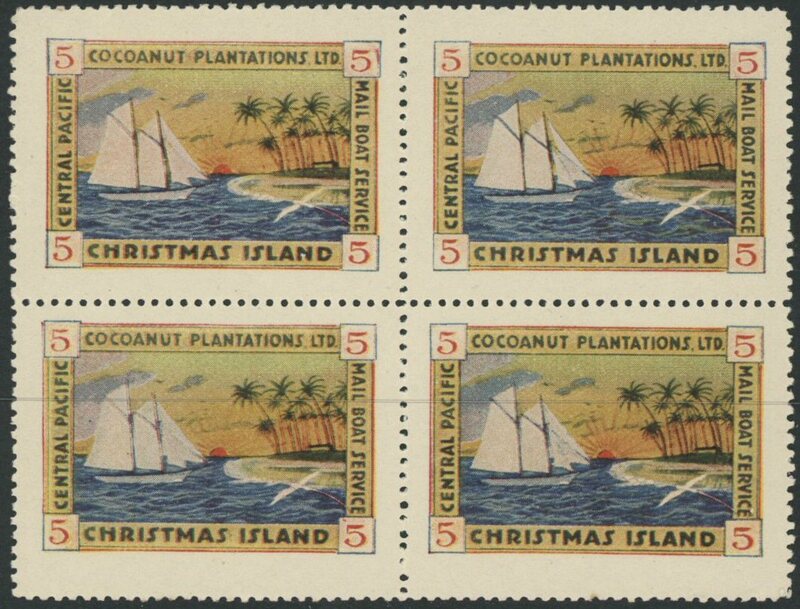 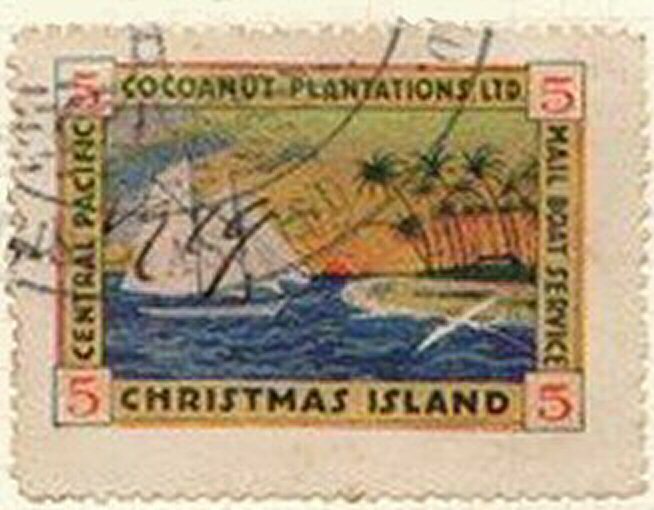 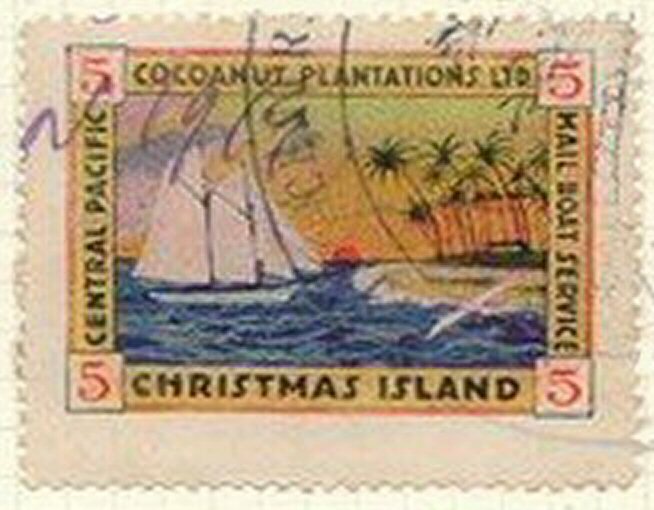 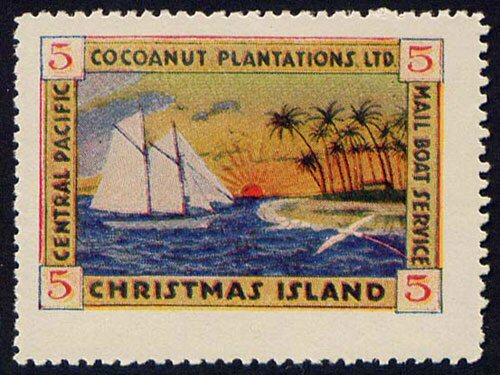 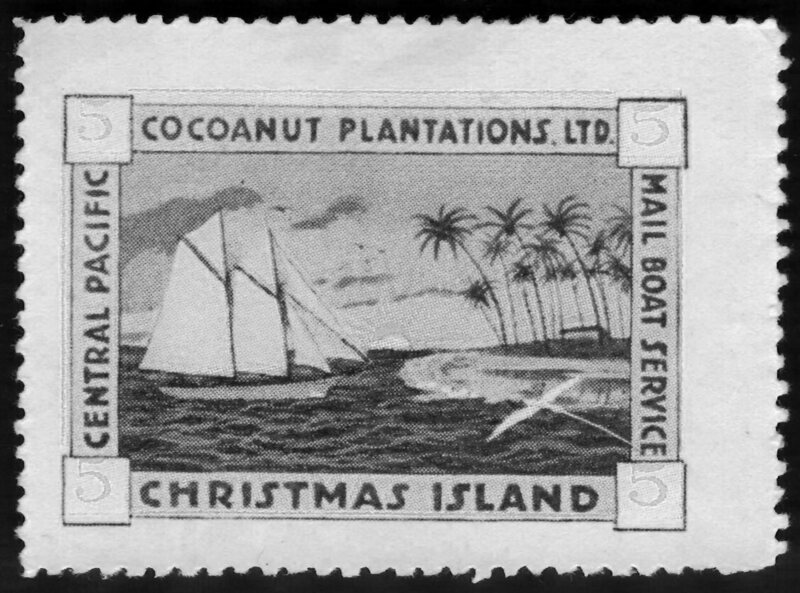 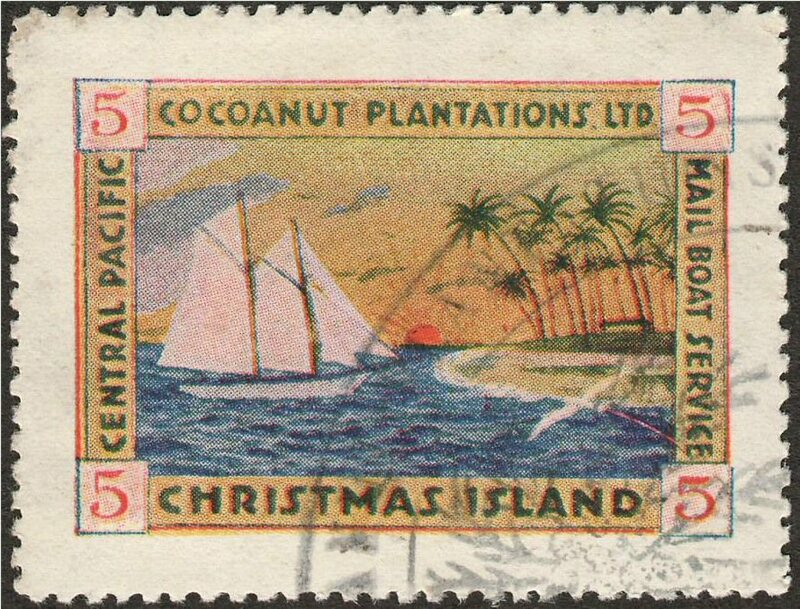 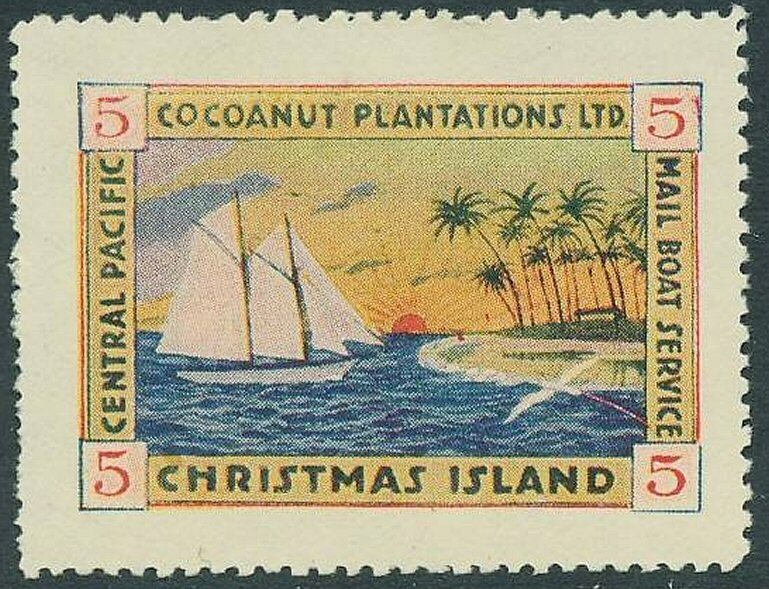 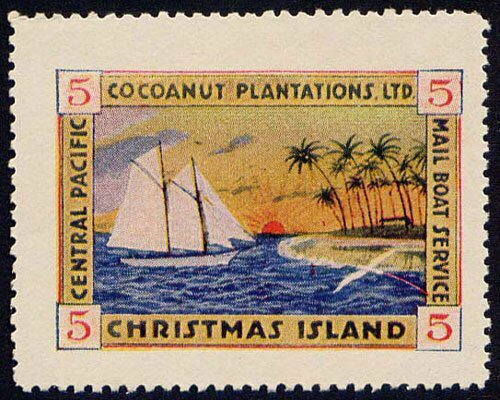 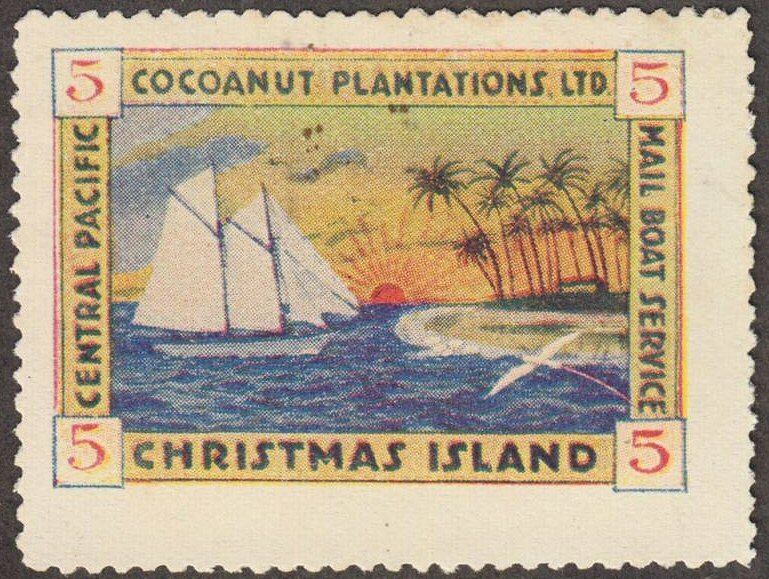 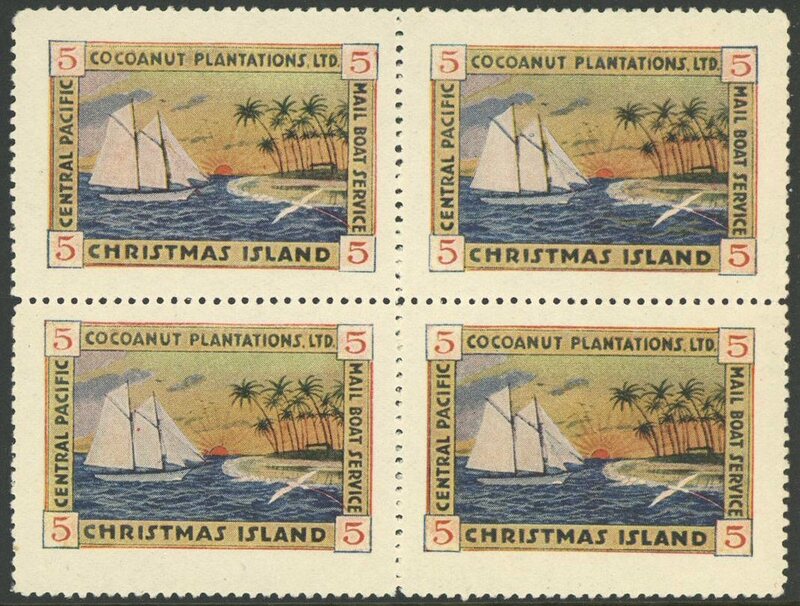 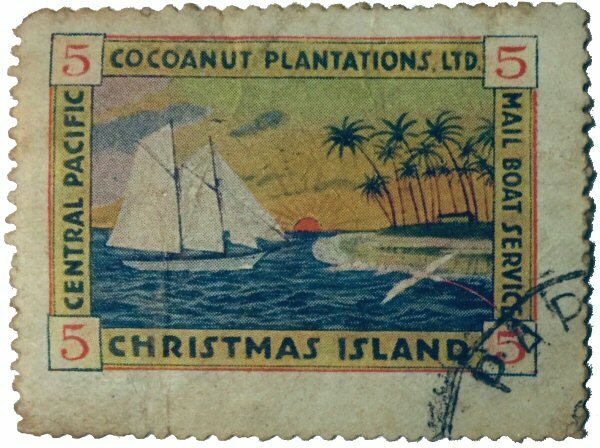 #2: Wide gap between top of left sail : stamp from right pane pos. 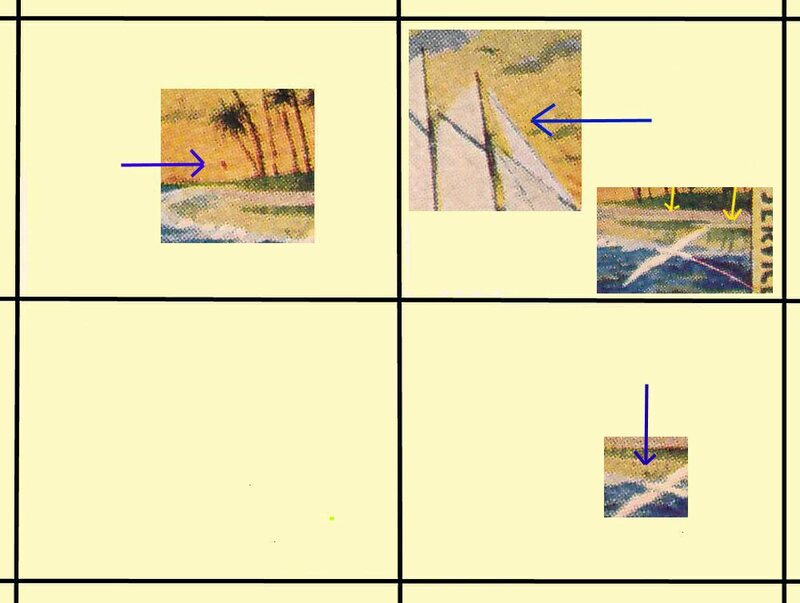 1,2. 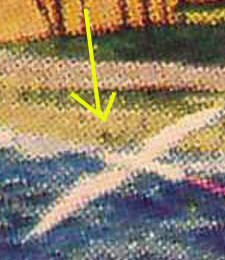 Sorry - I found nothing until now! 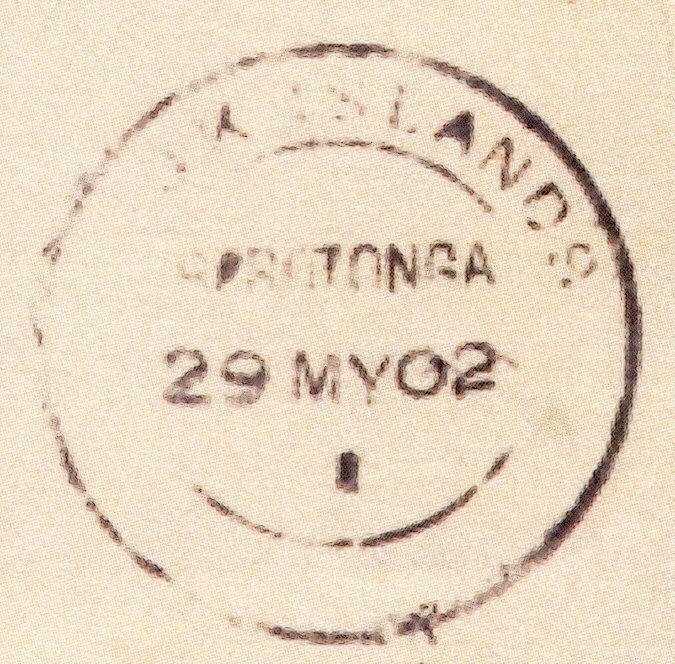 #4: dot above head of bird: the stamp is from pos. 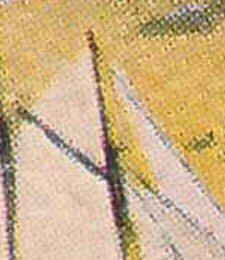 2,2.